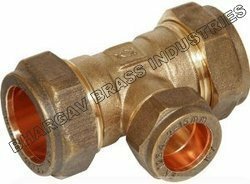 - Size: 1/2" to 3/4"
We are leading manufacturer , supplier and exporter of brass per fitting components, brass assembly parts, brass moulding parts as per products drawing.Material - brass.We manufactur as per products design and drawing. We supply elbows, SWT elbows, drop ear elbows, SWT adaptors, FPT swivel elbows, and Pex plugs. Thread Size: 1/2 " to 5 "
Jyoti Import & Export Co. Backed by years of industry experience, we are engaged in offering a premium quality range of Brass PEX Elbow. Matching up with the requirements of our clients, we are involved in offering Brass Pex Fitting. We have specialized in the Manufacturing, Exporting and Supplying of Brass Pex Fittings, which are highly demanded among the clients for superior performance. Our range of Brass Pex Fittings is tested on various parameters by our experts in order to offer the clients with the best. 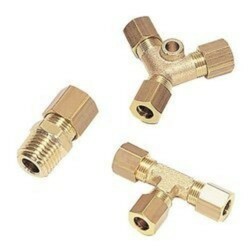 We manufacture various types of brass pex fittings like Union Elbow, Union Connector, Union Tee and ultra wide range of Union as per customer specifications. AGS Tech Exim Pvt. Ltd.